Written for the growing middle classes in Elizabethan England and published in 1596/7 this is a sophisticated cookery book which includes many herbal treatments and applications. 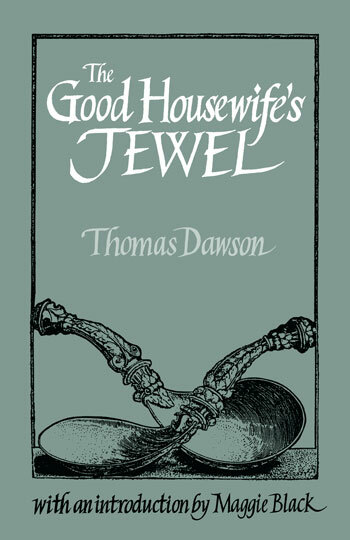 As a cookery writer, Thomas Dawson place is firmly between the late medieval tradition of the fourteen and fifteenth centuries and the more florid cookery books that came later. Nothing is known about the patrons for whom he worked or wrote this book for but they must have come from the growing middle class. This is good food,of a very high order not over-decorated and not too fatty but cooked simply with an interesting variety of tastes.